Stream anime episodes online for free, Watch One piece Episode 131 English version online and free episodes. Anime Episode guide One piece Episode 131 English dubbed The First Patient! The Untold Story of the Rumble Ball! 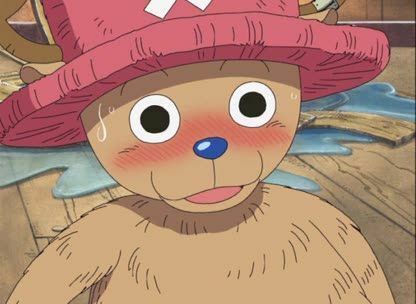 The Straw Hats land on an uninhabited island; Sanji immediately notices that it is covered with fruit-bearing trees. The crew decides to divide the work by drawing straws. Luffy, Zoro, and Usopp are sent to gather the fruit while Nami and Sanji survey the island. Chopper is left to guard the ship. He enjoys himself but suddenly realizes that Robin is nearby and flees into the cabin. He works on producing Rumble Balls and talks to himself about his mentor, Dr. Kureha, but notices that Robin is listening to him and breaks a barrel of water in surprise. Robin accompanies Chopper as he goes to replace the spilled liquid and he tells Robin about Dr. Kureha and how she became his first patient.